I am very thankful to ÅForsk, who gave me the opportunity to go to the International Conference on Flood Resilience (ICFR) in Exeter, Great Britain. I am also glad that my paper about the storm water systems in Gothenburg and Mumbai got accepted to be presented at the conference. 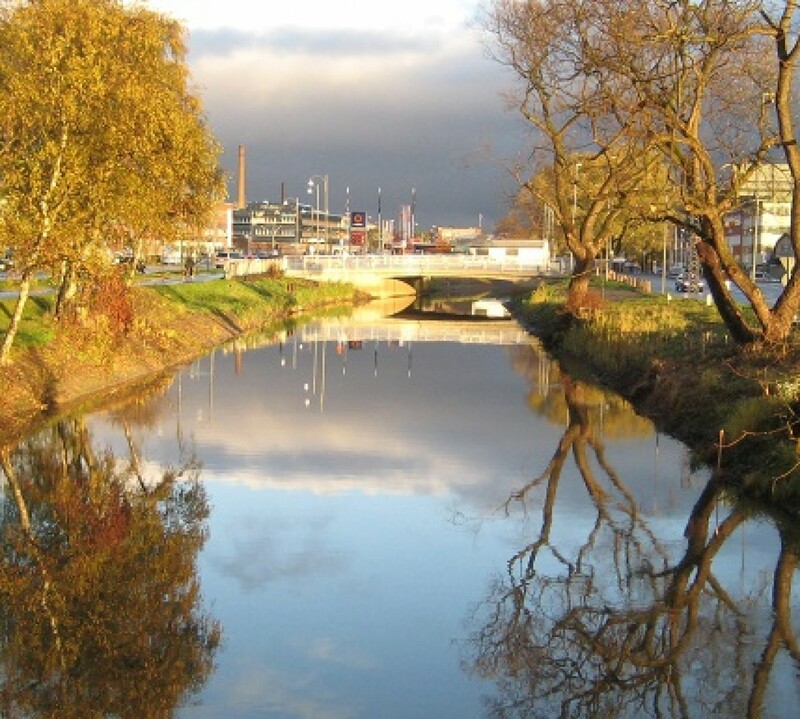 It gave me a great chance to dig deep into the development history of the stormwater system in Gothenburg. Arun Rana and I made a comparison between the Gothenburg system and the stormwater system in Mumbai and learned a lot from reading about how the systems have developed. The sewer system of yesterday strongly influences the system of today and thereby also the system of tomorrow. Because stormwater and sewage structures last for a long time, and the price to reconstruct the systems are very high, the old system will have strong influence on all future decisions. Cettner, Söderholm and Viklander (2012) did write an interesting article about this in Journal of Urban Technology. This was one of the important learnings from the article writing and my conference preparation. 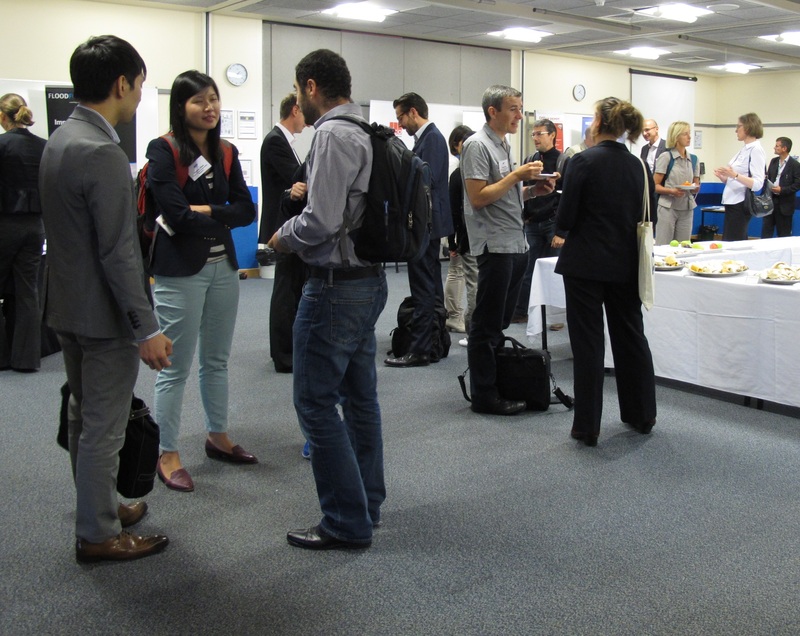 At the conference, I enjoyed to meet peers from all different universities, working with flood related issues in European and Asian cities. We discussed how the urbanisation and city development affect flood risk in growing cities and how climate change can aggravate the risk. We discussed how to cope with the flood risk, both from a technical and a social point of view. How far can we come with technology? What are the possibilities to protect our cities from floods? Flooding is one of the most wide-spread disasters, which can hit cities in various climates all over the world. A big concern for the future is the rising sea level, due to heating of the globe. In addition to rising sea level, we will also see more high-intense storms in many places. How can we construct our cities in a smart way to handle this? The main idea from the conference, which I took with me home, was that we will not be able to totally avoid flooding. When cities are hit by the most extreme events, there will be floods of such a magnitude that we cannot prevent them. Therefore, we need to build cities in a resilient way, with flexible systems, flexible public organisations, and flexible citizens that are prepared to cope with floods. A big flood event must not be a catastrophe for the city if the preparation is good and the technology is adaptable. The conference gave me a complete view of ongoing flooding research. There are four main driving forces behind severe pluvial flooding in cities today: higher precipitation due to climate change, urbanisation, land use change, and higher sea level due to climate change, which can aggravate pluvial flooding. In some parts of the world, only one or the other driving force is seen, but in many places are several of these processes ongoing. 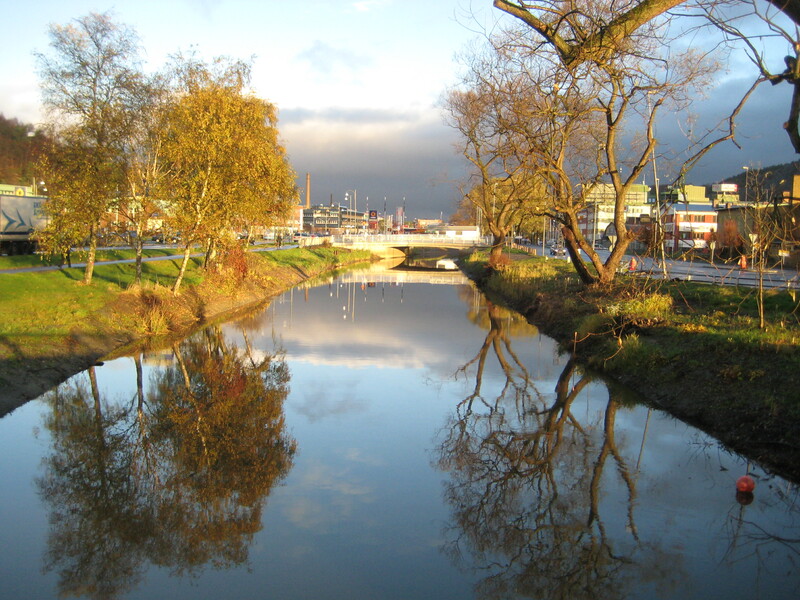 There are several similarities between the stormwater system in Gothenburg and in Mumbai. Both systems where constructed in the late 19th century with strong influences from Great Britain. India was at the time under British control and the British engineers led important infrastructure projects in Mumbai, among those building of the early sewer system. In Gothenburg, Swedish engineers went to London to learn about the new technology and were in this way strongly influenced by the British engineers. Later on, the German engineers led the technological development in this field in Europe. Today the systems in the two cities are very different, despite the fact that the first parts where built in the same time and in the same way. After the British Empire left India, the infrastructural development of Mumbai stagnated. Things have happened since then, but at a slower pace compare to Gothenburg, were the development continued. Also the urbanisation has been considerably stronger in Mumbai, which is the biggest centre for trade and commerce in India. 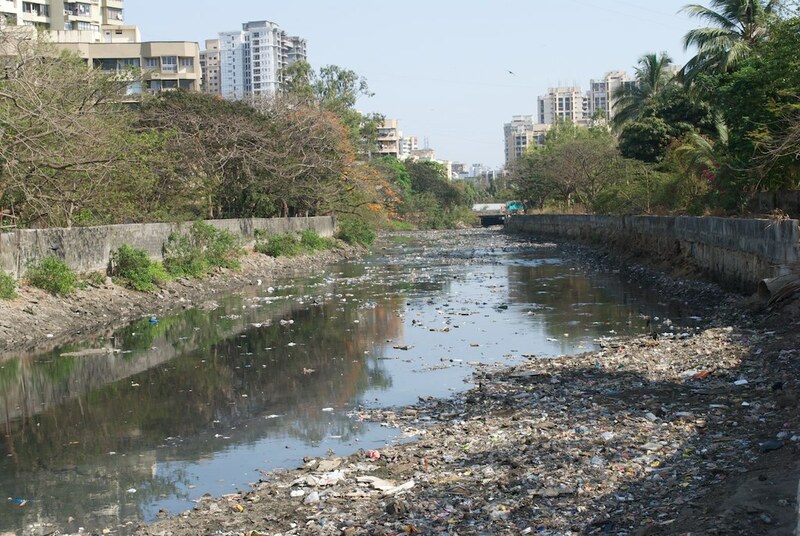 Solid waste in stormwater system in Mumbai. It is obvious that the problems related to flooding are much bigger in Mumbai, compared to Gothenburg. The monsoon period comes every year with heavy rainfall and the stormwater system does not have capacity enough to handle the runoff. The solid waste system in the city is not satisfactory, meaning a lot of plastic bags with solid waste lie in the watercourses instead of landfills and cause clogging of the stormwater system during the monsoon period. The municipality aims to clean all watercourses before monsoon, but often the jobs is not done careful enough to keep the watercourses free from clogging. Therefore, a better solid waste system is very important to improve flood control in Mumbai. Another problem in Mumbai is settlements on flood plains along the river. Many people in Mumbai are very poor and the city is overloaded with people. Because there is no housing for all people in Mumbai, many informal settlements are built on the floodplain and people of the floodplain lives in a high risk of flooding. As this is the poorest people in the city, they also have least possibility to protect themselves. 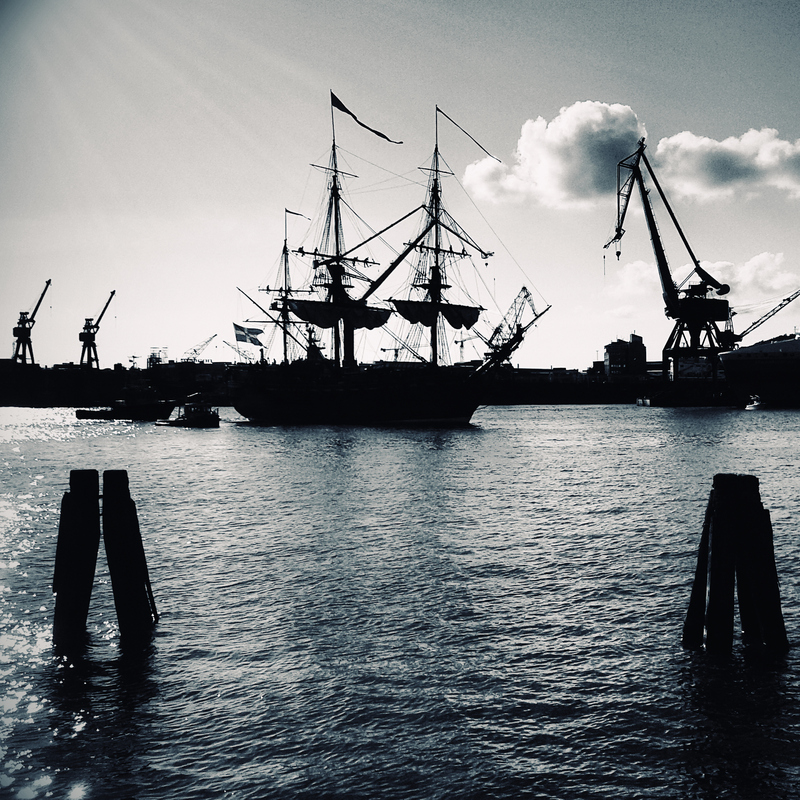 The ship Götheborg in Gothenburg harbour. Götheborg is a copy of a 18th century ship. One similarity between Mumbai and Gothenburg is that both cities were built on former marshland along the coast. Both cities were built as an important port and economical centre for their region. They are both low-laying and situated close to the sea, meaning the water cannot easily leave the area during storm. Gothenburg is known as one of the rainiest cities in Sweden, while Mumbai is situated in an area with monsoon climate. Both Gothenburg and Mumbai lay on the west coast with mainly westerly winds, meaning they are influenced by the sea. In Gothenburg the area around the central station, Gullbergsvass, is low-laying and in high risk of getting flooded. There are far-reaching plans to develop this area into a housing and shopping area in the future, despite the high flood risk from Mölndal River. When it comes to flooding, this is one of the main problems in Gothenburg, together with rising sea level and landslides along Göta River. When reading about this, I learned that high risk of flooding not always is enough argument to leave an area free from expensive investments. Cettner, A., Söderholm, K., and Viklander, M. (2012) An Adaptive Stormwater Culture? 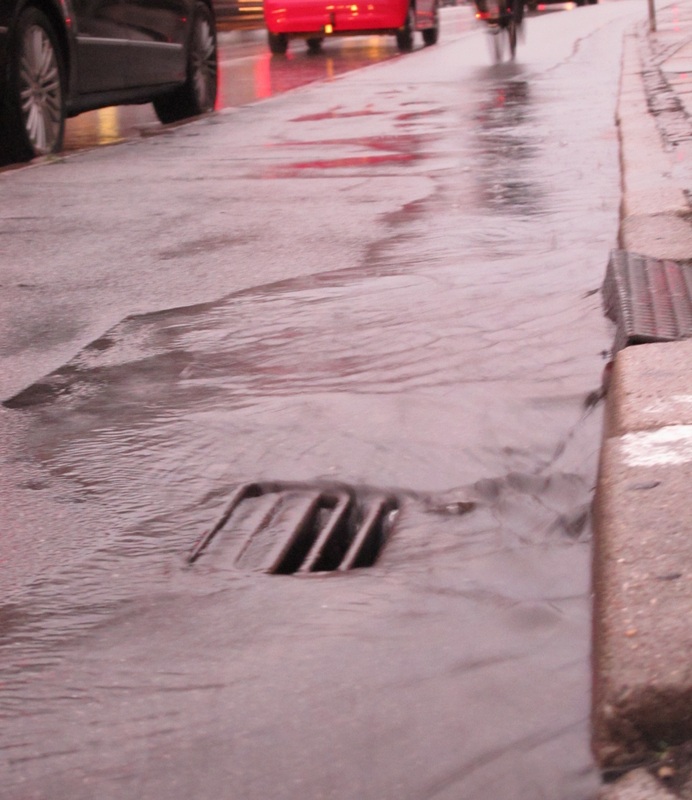 Historical Perspectives on the Status of Stormwater within the Swedish Urban Water System. Journal of Urban Technology, 19(3), 25–40.